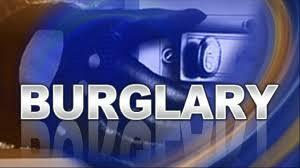 HIAWASSEE, Ga. – Towns County Sheriff’s Office deputies responded in reference to an attempted break-in at a residence on Jack Creek Road in Hiawassee on Dec. 30, 2018. The victim provided deputies with a photo of the male subject from a security camera at the residence, and the incident was turned over to Towns County Sheriff’s Office investigators for follow-up. Investigators identified the suspect as William Wade Scott, 42, of Hiawassee. Scott was arrested the following day, and taken into custody without incident. Scott was charged with attempted burglary and criminal trespass. The case will be forwarded to the Enotah Judicial Circuit District Attorney’s Office for prosecution. Scott is presumed innocent until proven guilty in a court of law. HIAWASSEE, Ga. – On Saturday, Dec. 15, Towns County Sheriff’s Office deputies responded to a residence located off of Highway 288 Sunnyside Road in Hiawassee in reference to a reported theft. Upon arrival, deputies made contact with the victim who reported a boat stolen from his property. Within a short period of time, upon investigation into the incident, deputies located the stolen boat at a residence located off of Tay Walk Way in Hiawassee. Melvin Linn Masters, 40, of Hiawassee, was arrested and charged with One Count of Burglary and One Count of Theft by Receiving Stolen Property. The case will be forwarded to the Enotah Circuit District Attorney’s Office for prosecution. Masters is presumed innocent until proven guilty in a court of law. 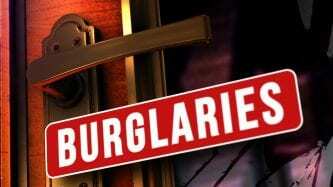 YOUNG HARRIS, Ga. – Towns County Sheriff’s Office has continued to arrest suspects in local burglaries and thefts. Two additional suspects have been recently arrested and booked into the Towns County Detention Center in reference to an ongoing investigation into reported burglaries and thefts in the area. Zachary Eugene Patterson, 22, of Blairsville, Georgia, was arrested on Dec. 28, 2017, and charged with one count of first degree burglary, one count of possession of burglary tools, one count of theft by receiving stolen property, and one count of attempted burglary. Also arrested in reference to the investigation was Ashley Lauren Patterson, 22, of Blairsville, Georgia, who was charged with one count of making false statements to an officer. The investigation is active and ongoing. Additional arrests are possible. Next Article » Short Takes - The DoJ and FBI, What's Next? 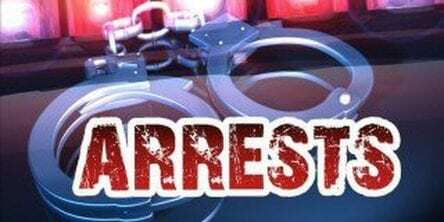 YOUNG HARRIS, Ga. – During the course of investigating recently reported thefts and burglaries in the areas of Woodlake Circle in Young Harris and Bugscuffle Road in Hiawassee, Towns County Sheriff’s Investigators have arrested two suspects. Jonathon Caleb Hart, 24, of Young Harris, has been charged with one count of second degree burglary, one count of first degree burglary, one count of theft by taking and one count of theft by receiving stolen property. Hart is being held currently in the Towns County Detention Center without bond. Kristy Megaha, 37, of Young Harris, was also arrested and charged with one count of burglary. She has been released on bond from the Towns County Detention Center. Warrants have been issued on a third suspect, Zachary Patterson, 22, of Blairsville, Georgia. Anyone with information as to the whereabouts of Zachary Patterson is asked to contact the Towns County Sheriff’s Office at 706-896-4444. The Union County Sheriff’s Office is asking for assistance in finding the person responsible for the burglary captured on video. In the early morning hours of Friday May 5 the Food Heaven Pantry located at the Towns Union County line was burglarized. The individual may not have realized the recording was taking place. Please review the videos and if anyone can help identify the suspect and or Jeep that was used in this crime, please contact Union County CID @ 706/439/6066 and speak with Lt. Osborn. Next Article » The Comey Memo…and other stuff! HIAWASSEE, Ga. – Towns County Sheriff’s deputies rearrested Austin James Shook on Thursday, Dec. 14, 2017, charging him with an additional count of first-degree burglary, one count of second-degree burglary and one count of possession of burglary tools. The charges stemmed from two reported burglaries within Bald Mountain Park. Shook was released on bond at the time for previous charges of burglary and arson, which occurred during the early morning hours of Thanksgiving Day, Nov. 23. The residence, located on Glassy Mountain Road, was unoccupied at the time of the incident. Upon further investigation, it was determined that the residence was burglarized prior to the start of the fire. Sheriff’s Investigators executed a search warrant at the suspect’s residence located near the scene of the crime, recovering related evidence. Investigators arrested Shook, 19, of Hiawassee, Georgia, charging him with two initial counts of burglary in the first-degree, one count of possession of burglary tools and one count of arson in the first-degree. This investigation is active and ongoing at this time. As the investigation proceeds, additional charges are likely. Follow FetchYourNews for further developments.